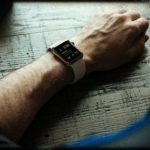 There is a lot to be excited about in watchOS 5. Apple announced many new features coming to the Apple Watch during the WWDC keynote. Here are 10 features Apple spent little to no time on but will make the watch much more useful. I ping my iPhone all the time from the Apple Watch. It’s a small thing, but it’s annoying to scroll down in Control Center every time I need to get to that option. In watchOS 5, you can finally edit Control Center. In watchOS 5, the watch will be able to detect if you start a workout automatically. The feature is a good step forward, but there is room for improvement. The watch will only send you a notification to suggest you start a workout. It won’t log workouts automatically so you won’t get any credit until you begin a workout on the watch. Either way, it’s a welcomed feature. It makes sense Apple would add automatic detection when you finish a workout as well. If you forget to end a workout, the watch sends you a notification suggesting you do so. 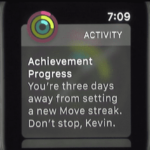 Again, a welcome feature, but it would be nice if the watch would automatically log workouts with needing your interaction. Fitbit devices have done this for a while now. Apple has added Yoga and Hiking to the Workouts app. The Hiking workout will display elevation data in real time. Yoga will primarily focus on heart rate data to estimate calories burned. One of my favorite features of watchOS 5 is the addition of the Podcasts app. The app will automatically download a few upcoming episodes from your queue. You can also stream podcasts over cellular and Wi-Fi along with controlling playback on your iPhone. The Siri watch face will be getting 3rd party app support in watchOS 5. Your favorite apps will be able to plug into the watch face and show you relevant and timely information. 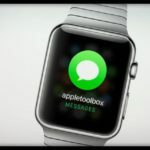 Siri Shortcuts will also be available from the Siri watch face. You can also select a new Gray color theme for the Siri Watch face. This monochromatic face looks pretty good actually! You can only get to Notification Center from a watch face in watchOS 4. In watchOS 5, you can access Notification Center anywhere by holding your finger on the top of the screen for a split second and then swiping down. You can also Adjust Maps Navigation right from your Apple Watch. This will be very helpful for users who use their Apple Watch for navigation. In the Weather app, scroll up in the weather details view to get more information like the UV index, wind speed and the 10-day forecast. It would be crazy for the Apple Watch to have a web browser. However, Apple took the first step in watchOS 5 by adding support for web links. If someone sends you a link in a message, you can tap it to see a preview of the webpage. I guess this does make the Apple Watch one step closer to being a complete computer on your wrist. The same iOS features found in iOS 12 are also available in watchOS 5. 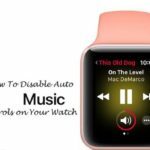 You can now set contextual Do Not Disturb on the Apple Watch. You can activate Do Not Disturb for one hour, until the evening or the morning, until your current calendar event finishes or until you leave your current location. These are just a few of the features heading our way in watchOS 5. Let us know in the comments if we missed any upcoming features you are excited about.